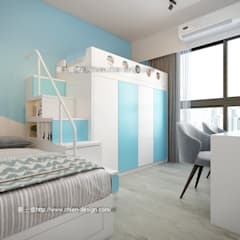 What designs are best for a teen bedroom? 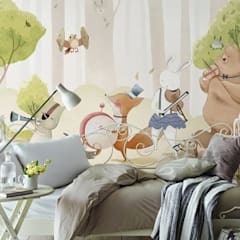 * Decorate a room keeping in mind your child’s personality. Does your child have an outgoing nature or is he or she more of an introvert? Is he or she fond of nature or action oriented sports? Think of it and decorate the room accordingly. * Consider the hobbies of your child. Does he or she love sports, like to play music or paint landscapes? Then tactfully incorporate those elements in the decor. For example, you may decorate the feature wall with a fine art poster of his favourite musician. * Take a note of his likes and dislikes. Does he a find particular colour not too impressive? Then don’t use it, even if it happens to suit the interior decor just fine. * Give due importance to the necessities of a teenage child. 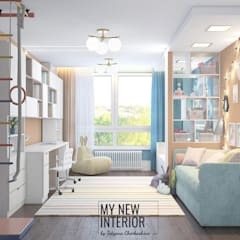 Your child is growing up fast and does require more space, a clutter free interior environment and reasonable amount of privacy. * Have a chat with your kid. Find out how he or she would like to have the room redecorated. Generally speaking, modern style teen bedroom decor is more preferred than any other types. It is comfortable and in tune with our time. 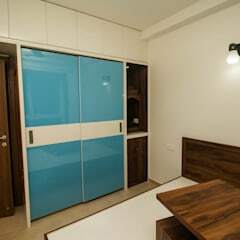 Most contemporary houses and apartments also follow this style. So the decor of your teen room perfectly matches the interior of the rest of the house. 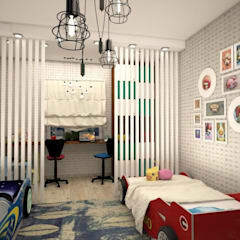 To plan the interior of your kid’s bedroom, check homify’s massive collection of teen bedroom ideas. When in doubt, discuss your ideas with an interior designer experienced in such tasks. 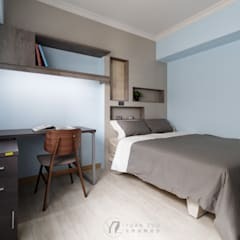 How to decorate the teen bedroom walls in modern style? * Invest in wallpapers with geometric motifs. Opt for a complementary tone for the feature wall. Choose dark or bold colours only for the feature wall, especially if the room is small. 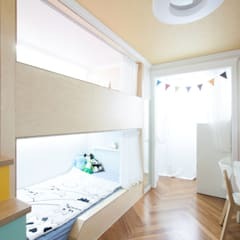 Bold stripes are one of the most popular choices for a boy’s room. Soft geometric motifs in pastel shades are preferred for a girl’s bedroom. However, exceptions to these are pretty common. * Take one of the high resolution images captured by your child. Turn it into photo wallpaper and decorate the feature wall with it. You can do this without stirring anywhere from your home. 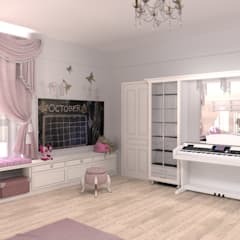 Many reputed wallpaper companies provide this service online. 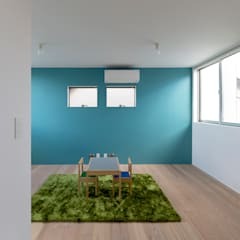 Keep the shades of the other three walls relatively understated. 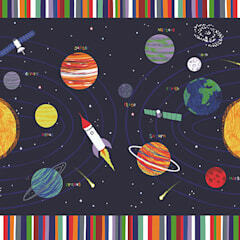 You may also try doing the same with an illustration or painting done by your child. * Use a large framed mirror to decorate one of the empty walls. 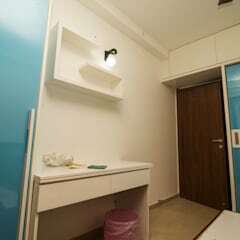 You may also install frameless mirrors on the wall. Except for beautifying the space, this would make the room look more spacious. * Consider framing a large poster and put it up on the feature wall. You may frame the photos of your child’s favourite sportsperson, musician or artist. You may also select several small photographs and create a collage on the wall. * Chalkboard painting is very popular nowadays. You may use a suitable chalkboard paint colour to decorate one of the walls. * Select an inspiring quotation. Print it and then laminate it before putting up on the wall. You may engrave it on a metal plate and hang on the wall as well. If possible, select the wall just in front of the study desk to put this up. 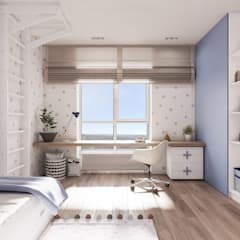 What are the must have furniture for a teenager’s bedroom? Your teen room decor would be incomplete without a comfortable bed. To maintain a clutter free interior and increase storage space, opt for a storage bed. You may choose from hardwood, engineered wood and wrought iron beds. Don’t forget to have a matching bedside table. 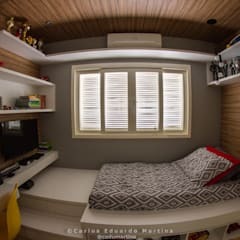 Your kid’s room should also have a desk for studying and working on their hobbies. You may choose a desk with storage space as well. Alternatively, you may opt for wall mounted foldable tables. Tricks like these make your teen small bedroom ideas successful. Along with the study table, don’t forget to buy a comfortable chair. It should be of right height. You may buy a couple of extra chairs, pouffes or a small sofa. This way there would not be any shortage of seating arrangement, when your child invites his or her friends. Build enough storage space, more than currently needed. It’s not easy to frequently replace or rebuild these articles of furniture. And, the necessity for more storage space tends to increase over time. Buy wardrobes with mirrors. Select one that matches well with the other pieces of furniture. Put up a shelving system on the wall. 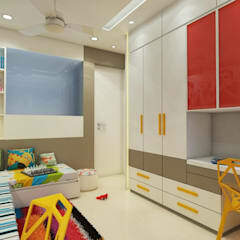 Your child needs enough space to store away his or her books, craft items, music cds and dvds. Make a detailed plan to invest in the right type of lighting fixtures. 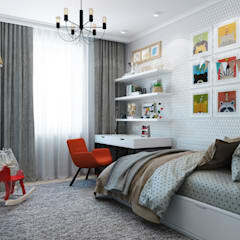 While searching for teen bedroom ideas, take a note of the lighting fixtures in use. The room must have proper illumination. The light chosen for this space must not be hurtful to your child’s eyes. Use ceiling lights to illuminate the entire room. Buy a modern reading lamp and set it up on the table. You must also have reading lamps on the bedside table. Some other alternatives include, mounting the lighting fixture just above the headboard or hanging it from the ceiling. To beautify the room further, install focus lighting on top of the framed posters, photographs of paintings. 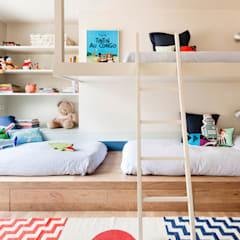 To optimise the available space in a small teen bedroom, opt for a lightweight bed with storage space. You may also invest in a Murphy’s bed or comfortable sofa bed. Utilise the space on the walls by installing a shelving system. Shelves like these resolve your storage concerns without wasting any floor space. Buy furniture that can be used in several different ways, such as an Ottoman with storage space, shelving system with foldable table and so on.